In the Note Panel, right click, I choose "View as attachment." The note is still title filename.pdf but for the life of me I can't figure out how to undo what I've done. 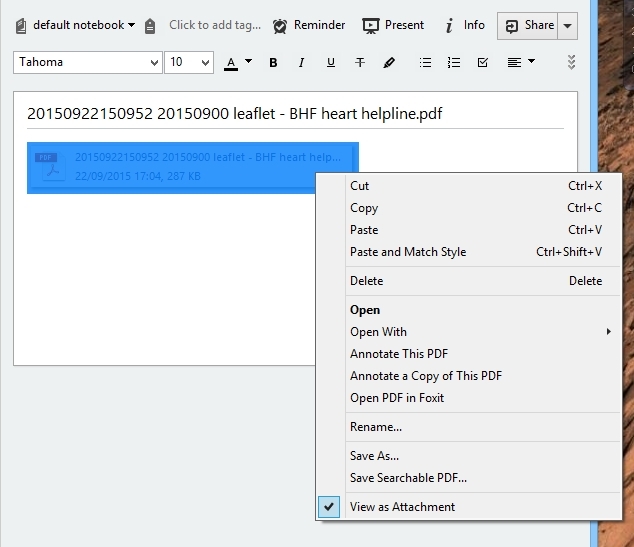 I want to see my pdf document in the Note Panel. Hi. What happens if you right-click and choose "view as attachment" again? 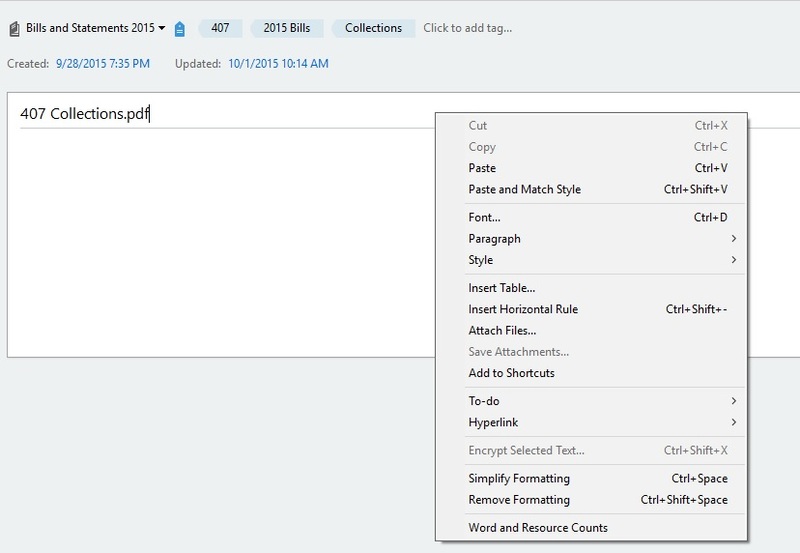 You should have UNselected that option and see the PDF first-page content in full. Ah. You're right-clicking the note title - you need to get the actual file icon. If you successfully ticked the 'show as attachment', there would be an icon representing the file, and you would see the option ticked as here. As there's no PDF icon showing, you may have a different problem. Can you see an icon if you view that note in any other Evernote client? Mobile? Web? So basically we have confirmed I really only have Note titled filename.pdf and no attached file. I don't recall doing anything but checking the "view as attachment" option. Rarely I have had the icon/attachment disappear but still be in the note. If it happens to you again, right click in the note and see if save attachment is an option. If it is, save and then add back to the note or a new note.